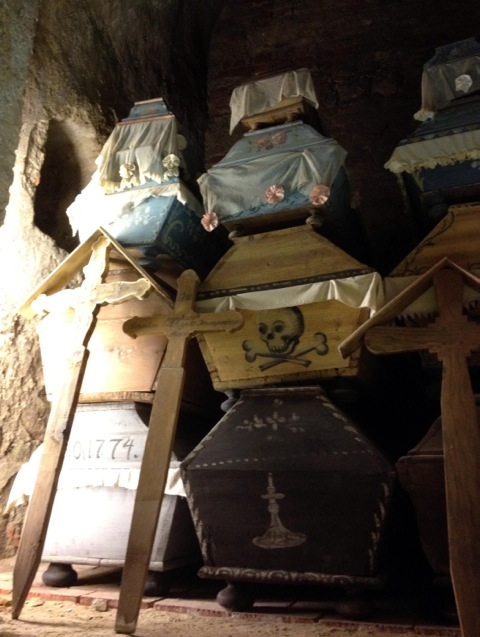 Buried between 1731 and 1838 in the crypt of a Dominican church in the northern Hungarian town of Vác, a number of naturally preserved and fully dressed mummies in their decorated coffins were forgotten for over 150 years and only discovered in 1994 during the church’s renovation. 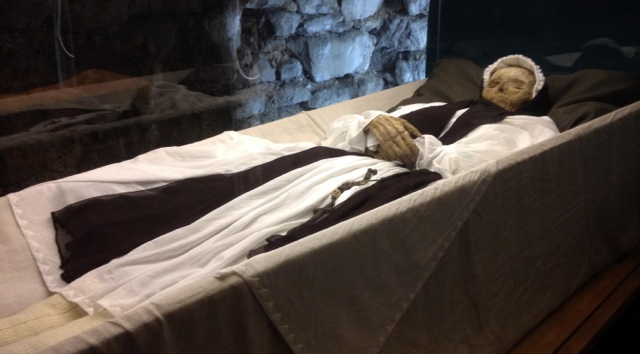 Reflecting a wide sample of Vác residents, the mummies include three nuns, 30 priests, the wife and child of the local postmaster, surgeons, and the founder of the Vác hospital and first director of the town’s school for the deaf. 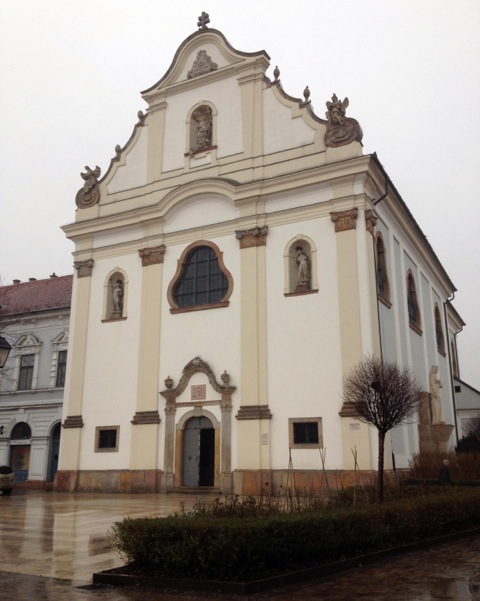 The Dominican church of Vác where the mummies were found. By Carole Reeves. Eighty-nine percent of the mummies, ranging in age from newborns to a lady of 95, had at one point been infected with tuberculosis and around 35 percent were suffering from the disease at the time of death. Evidence of the infection on the bones are visible to the naked eye. The strains of tuberculosis bacteria found in the people buried in Vác offer a unique opportunity to study the pathogens from a time before the development of antibiotics and prior to the Industrial Revolution. However, what makes this a particularly important project for historians is the existence of intact and very comprehensive archives relating to most of the individuals in this close-knit community, including birth and death records, and family archives. Stacked decorated coffins of the Vác mummies. By Carole Reeves. Almost all of the individuals have been identified by name and in many cases their life stories and the manner of their deaths can be pieced together from written sources. Several generations of the same families were buried together. Infection of the population with the tuberculosis bacillus (which is believed to occur mainly in early childhood) increased as the town grew, industrialised (to some extent), and saw immigrants arriving from rural areas. Of individuals born before 1740, about 48 percent carried the TB bacillus, but this rose to 100 percent in those born during the years 1760-1774. This type of population movement – from rural to urban areas – was associated with a rise in TB deaths in the 19th and 20th centuries at the height of industrialisation but being able to observe it in the 18th century is important. Most of the mummies have been transferred to the Hungarian Natural History Museum in Budapest for further research and are not available for viewing by the public although we were fortunate to have a behind-the-scenes tour because bioarchaeologists from UCL have been working with experts from the Museum. 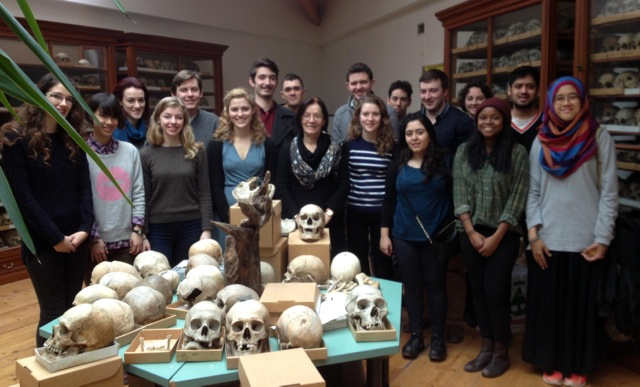 Ildiko Pap (centre) amidst UCL’s History of Medicine IBSc students at the Natural History Museum, Budapest. By Carole Reeves. Ildikó Pap, one of the Hungarian researchers involved in the Vac-mummy project, acted as our tour guide and told us all about the mummies, related research on pre-antibiotics tuberculosis and the Museum’s collection. Viewing the remains of very recognisable individuals and hearing their detailed life stories was very moving, and caused some debate amongst us as to whether the crypt should have been sealed and left undisturbed in perpetuity, or whether indeed the Vác mummies should be reburied. 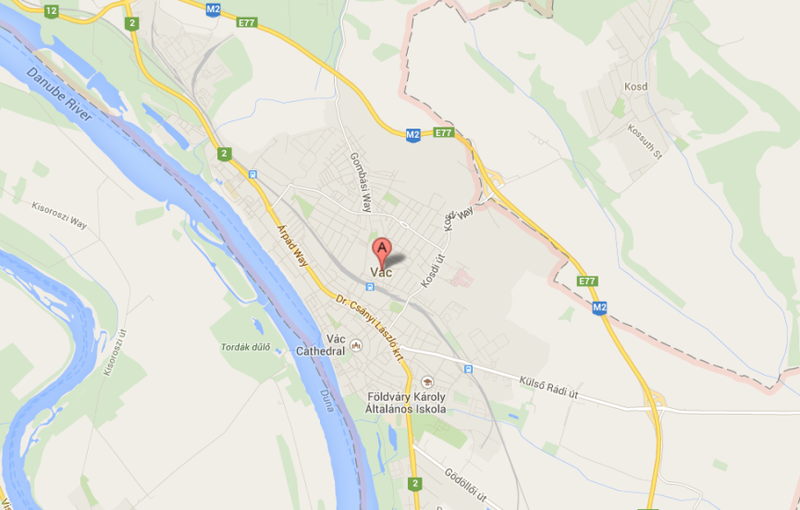 We then travelled by train – a half hour journey from Budapest’s Nyugati Station – to the pretty town of Vác on the River Danube to visit the permanent exhibition of mummified townspeople and their stunning ornate coffins. A Vác mummy. By Carole Reeves. The costumes worn by the exhibited mummies are replicas of the originals, which are fragile and have undergone conservation but are contributing to another important aspect of this project – the history of costume and textiles. After the museum visit, as it was a very wet and chilly day in mid-February, we visited a couple of the glorious cake shops dotted around the town square to sample Hungarian hospitality at its sweetest! This entry was posted in Europe, Hungary, Uncategorized and tagged bioarchaeology, Budapest, mummies, mummification, Vác by Carole Reeves. Bookmark the permalink.